Our oldest daughter played basketball for a few years in a local league. Our oldest son’s team just won the championship game of his league two weeks ago. One of the twins is already a pretty smooth dribbler. 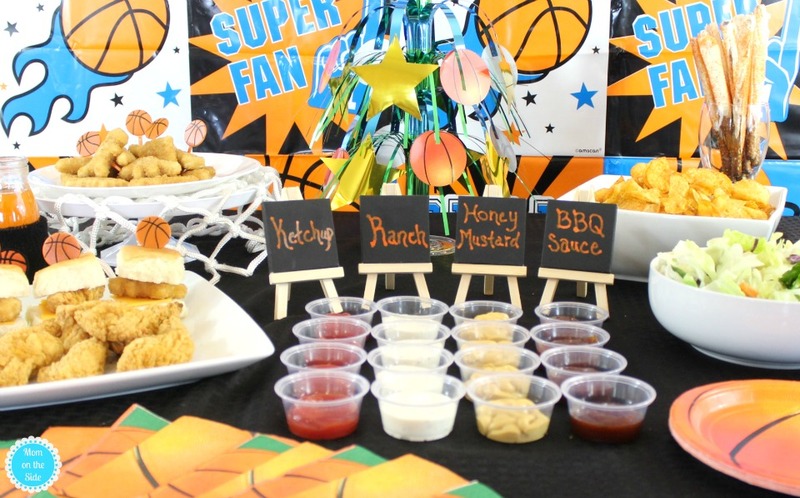 Yes, basketball runs deep and we are excited about all the college basketball games going on! 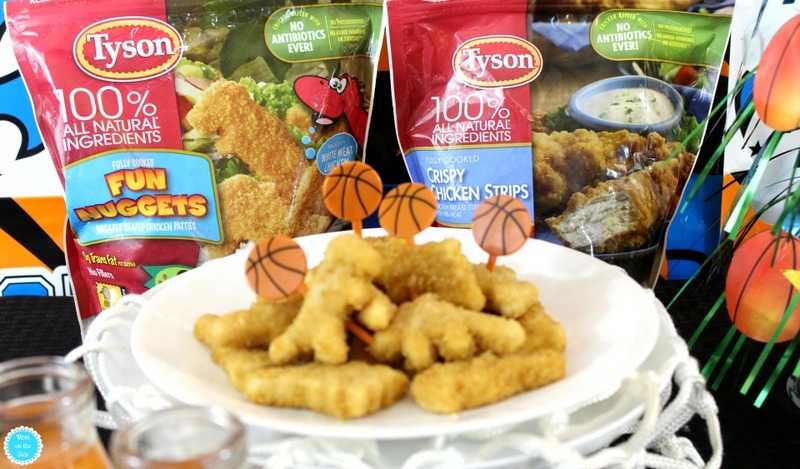 We turn it into family time, all gathered around the TV with a delicious slam dunk spread on the table with Tyson products. 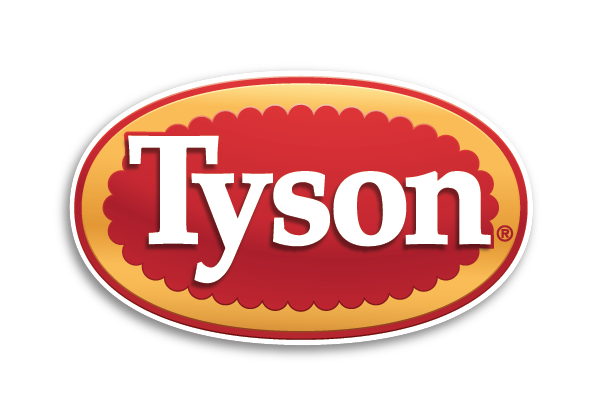 Served straight up for dipping or with cheese on slider buns, Tyson Crispy Chicken Strips never last long. 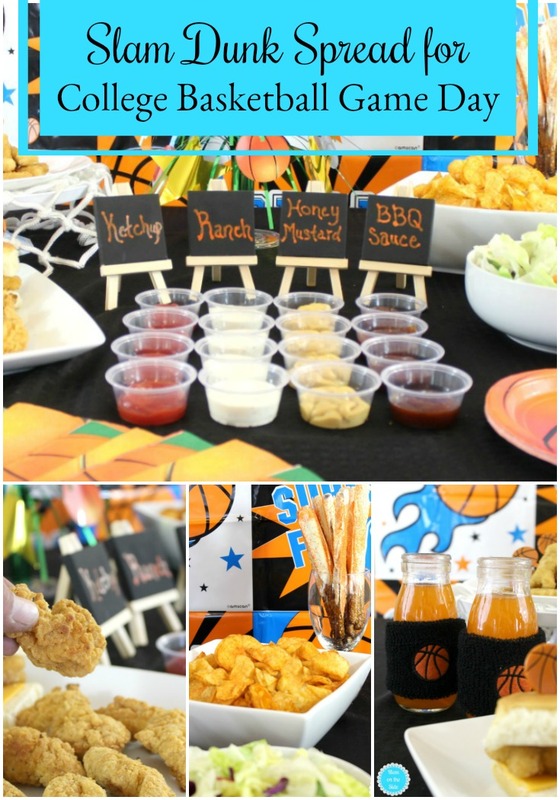 Paired with slam dunk sauces keeps everyone’s bellies happy. Ketchup, ranch, honey mustard, and bbq sauce is the line-up in our house. What about yours? 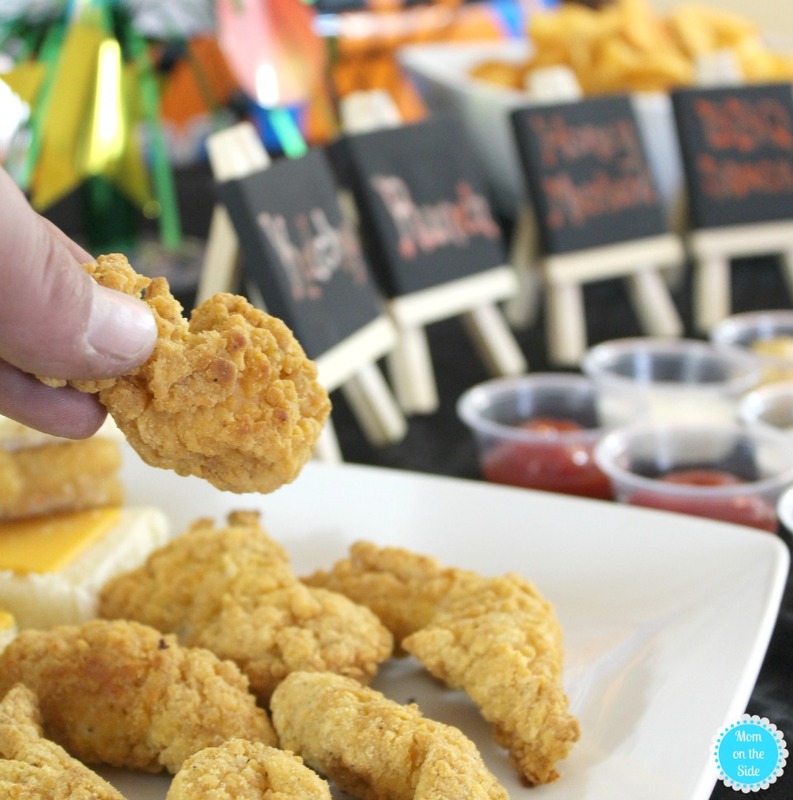 PS: I’m really loving the little easel canvas food signs I made. Quick, easy, and one I’ll be using for more parties because they are too cute! 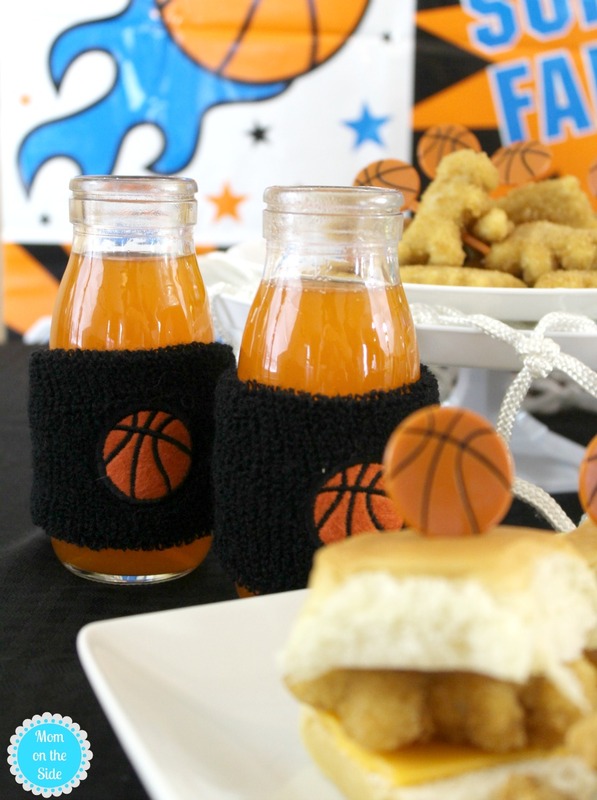 The kids loved the orange soda served in milk bottles with basketball sweatbands. 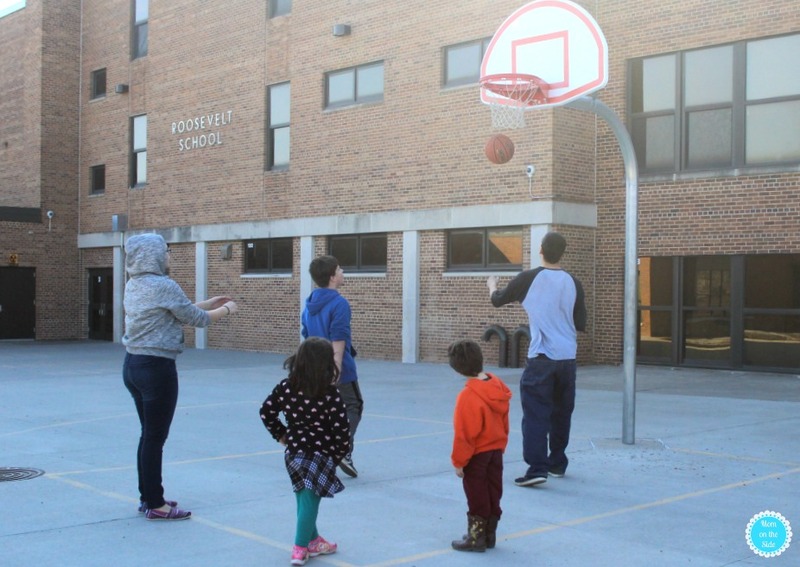 A fun touch and something the kids use after so it’s a win-win. 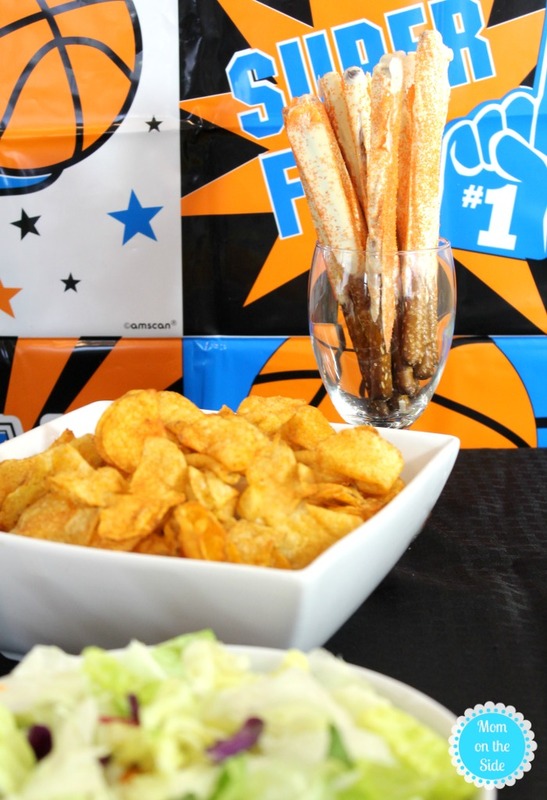 A bowl of chips, salad, and some white chocolate dipped pretzels with orange sprinkles complete the slam dunk spread for college basketball game days. 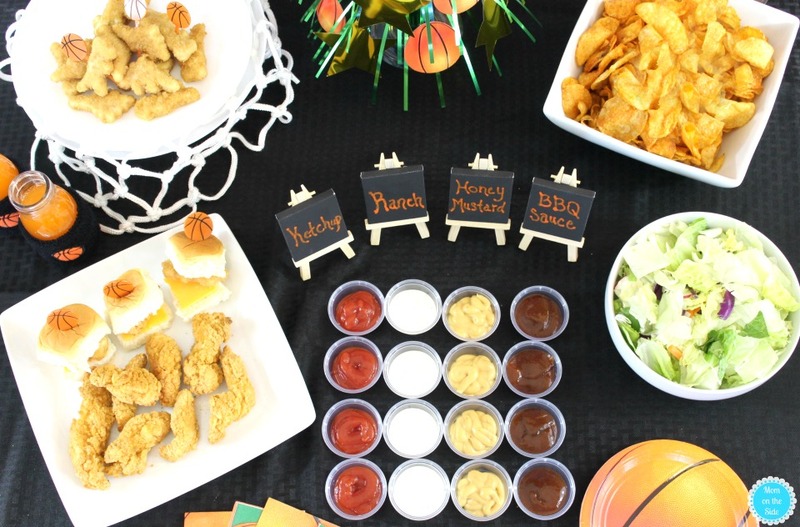 Now you have some delicious ideas for food on college basketball game days, that won’t take you much time to throw together. Plus, it’s #FrozenFoodMonth, and, to celebrate, you’ll find a flurry of deals on frozen foods at your local retailer. What’s more, the National Frozen & Refrigerated Foods Association (NFRA) has partnered with Coupons.com to offer cool savings on some of your favorite frozen food brands. Visit Easy Home Meals for great recipe and meal solutions and to enter the March Frozen Food Month Sweepstakes for a chance to win up to $10,000 in prizes!